Affordable Moving & Storage are your local small move and apartment moving specialists, combining excellent service with surprisingly affordable pricing. Most people wouldn’t think of using a professional mover for one or two items or to move furniture from one room to another so they can install carpeting or redecorate. They assume it’s too expensive or that a big moving company couldn’t be bothered with such small jobs – and many aren’t. So they attempt to do it themselves or ask a favor from a friend or relative. The disadvantages of a do-it-yourself move. Small moves are a BIG deal! For us and you. Organizing a small move can be more difficult or frustrating for you than a big move. For us, local small moves are our bread and butter. Affordable Moving & Storage completes multiple small moves a day, enabling us to offer competitive pricing. Our minimums are lower than most other movers, making it affordable for you to use a professional mover for any moving job. We’re also an apartment moving company. You’re no longer obligated to pay full price for a half-full truck. 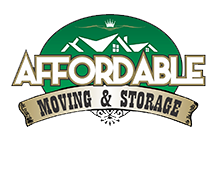 Affordable Moving & Storage gives you the best value for your dollar. There are few moving tasks we aren't equipped to expertly handle. We’ve even hoisted sofas through a second floor window! Affordable Moving & Storage never says no and the price is always right. Affordable Moving & Storage are your apartment moving specialists. Living in urban centers like New York City can be expensive – but your move there doesn’t have to be! We’ve assisted with many small moves to studios, lofts and efficiencies. 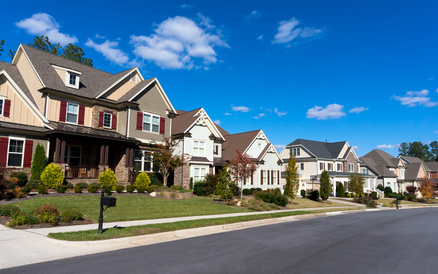 The Affordable Moving & Storage team specializes in local residential moves and has in-depth knowledge of New York and New Jersey’s residential areas including apartment complexes, suburbs and 55+ communities. Don't want to disrupt business? We can help. Avoid back injuries, workers’ compensation claims and breakages, which will end up costing you far more than hiring us. We expedite safe and affordable moves. As your local moving company, we’re dedicated to providing affordable friendly service to you, our neighbors. Unlike movers from more remote locations, we have a reputation to uphold in our community. Outside companies are often only interested in collecting payment while we strive to obtain repeat customers by offering quality affordable assistance. For us, it’s personal. We’re aware that word of mouth and referrals drive our business. Any dissatisfaction hits too close to home! We also know that a good small move can lead to bigger moves. We rely on your support so you can rely on us. Our commitment to our customers and the excellent service we provide has earned us a great reputation in our home state of New Jersey and beyond.